Progress in Molecular Biology and Translational Science provides a forum for discussion of new discoveries, approaches, and ideas in molecular biology and translational science. It contains contributions from leaders in their fields and abundant references. 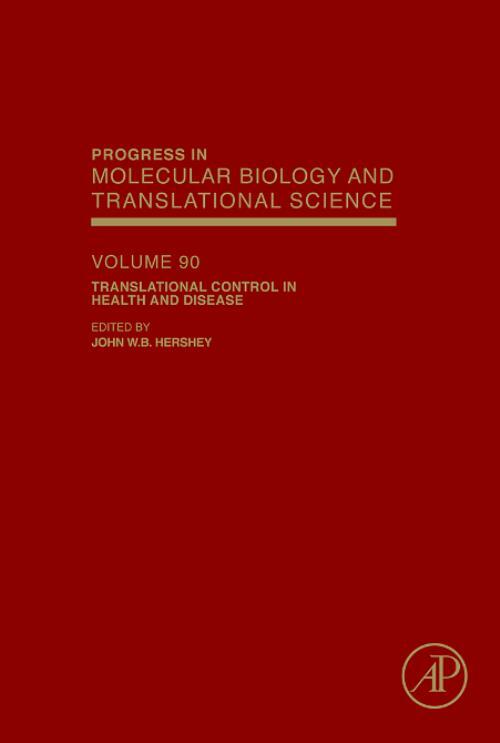 This volume focuses on translational control in health and disease. Chapter 3. Effects of cell stress on protein synthesis and granule formation.